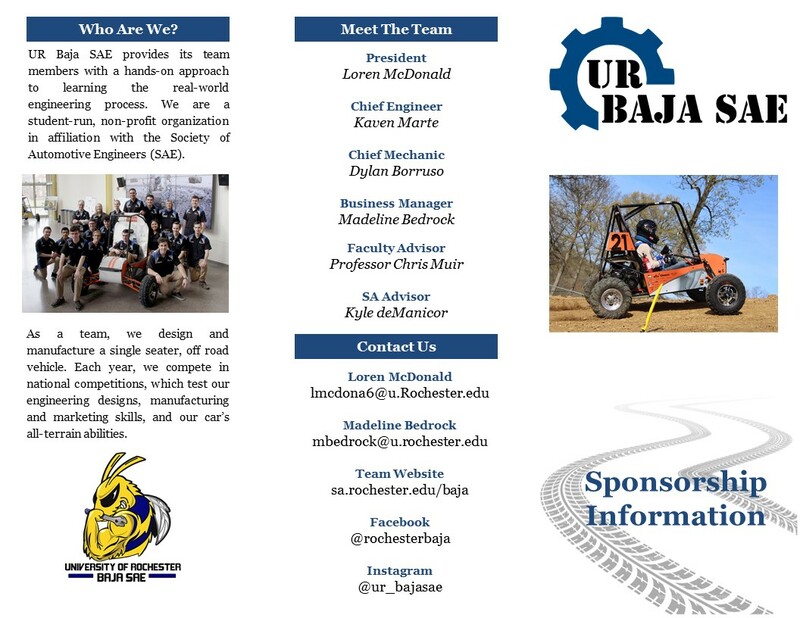 The UR Baja SAE team is a student-run, non-profit organization which designs, fabricates, tests, and competes with a single-seater off-road vehicle. 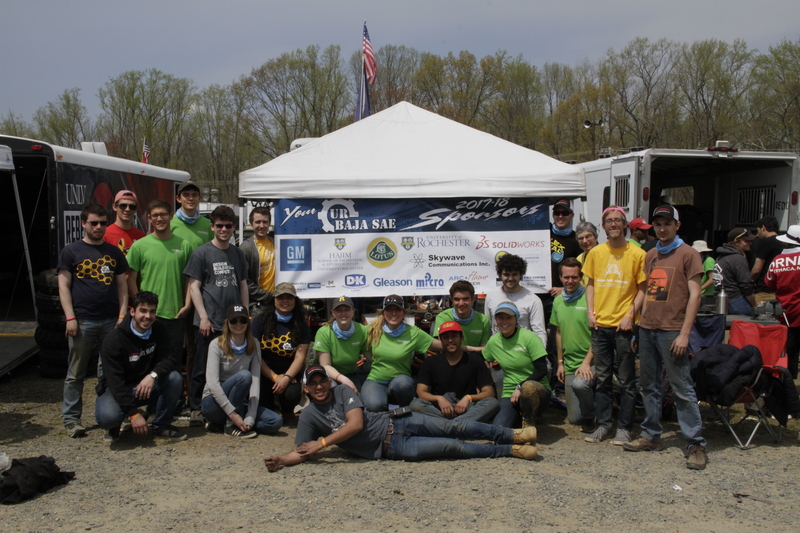 From mechanical and biomedical engineering to optics and business majors, our numbers include anyone who is interested in learning design and does not mind getting a tad dirty! Whether you have built a car from scratch or have never touched a wrench in your life, we will utilize any your experience and will teach you designing, manufacturing, and testing methods. 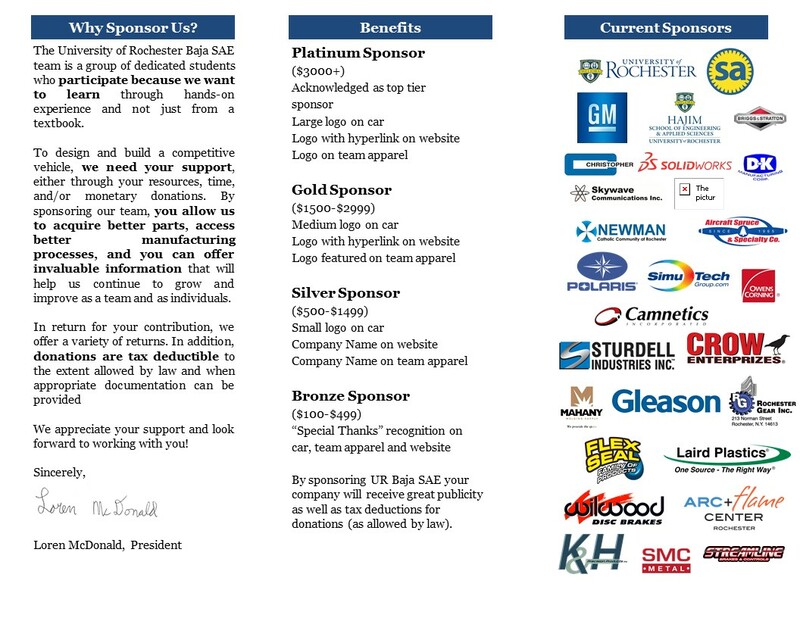 We work part of the summer and throughout the school year designing, manufacturing and testing our car in preparation for national competitions held across the United States. Design is a huge component of what we do. Our team offers students a hands-on approach to engineering as it provides a practical application of classroom-based learning. 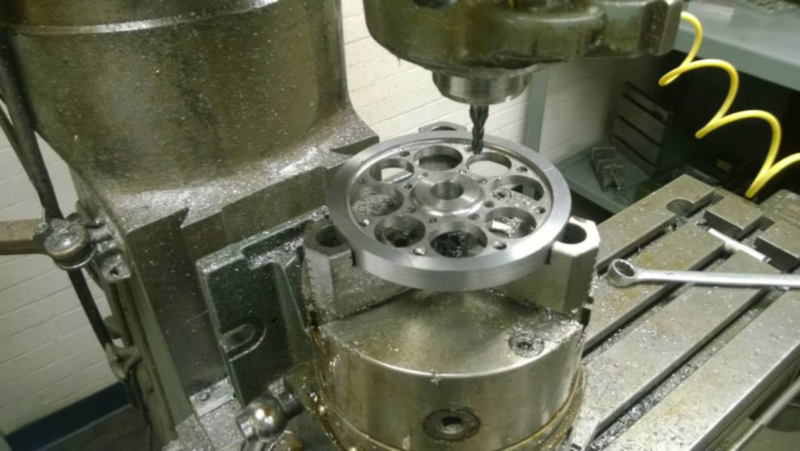 Using everything from angle grinders to lathes, we manufacture a majority of the Baja car ourselves each year. 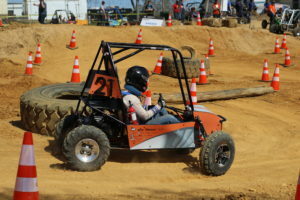 You have not truly experienced Baja until you have taken part in your first competition! Competition includes dynamic events designed to test your car to the limit as well as presentations in sales, cost, and design. 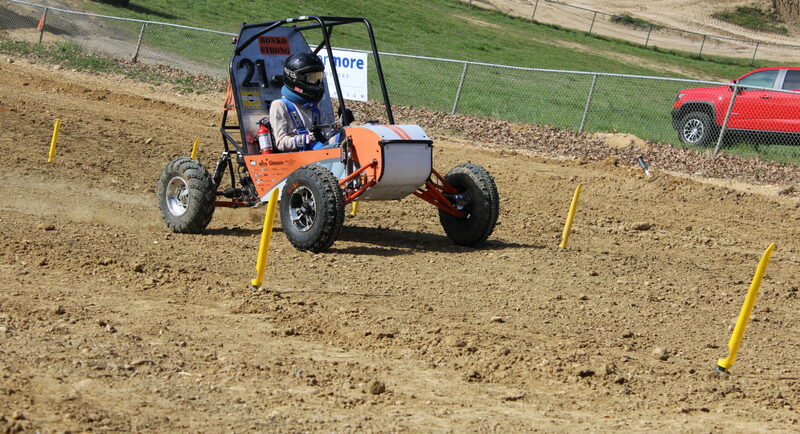 Each competition concludes with a four-hour endurance race, testing all aspects of our car on an off-road track. 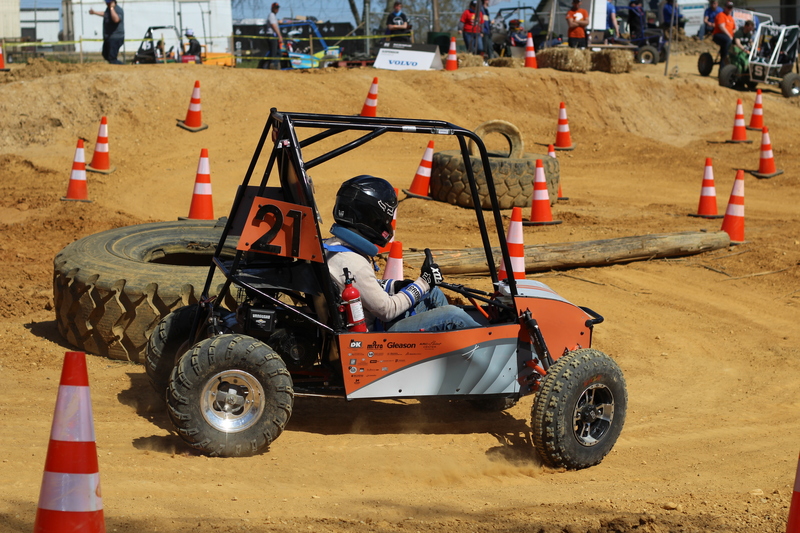 Competing against a hundred-plus national and international teams, UR Baja SAE travels across the country, attending competitions in places like Alabama, California, Kansas, Kentucky, Maryland, Oregon, Rochester, and Tennessee. All meetings are open to any members who wish to attend.